Come on over to the dark side. It's pretty & trendy here. 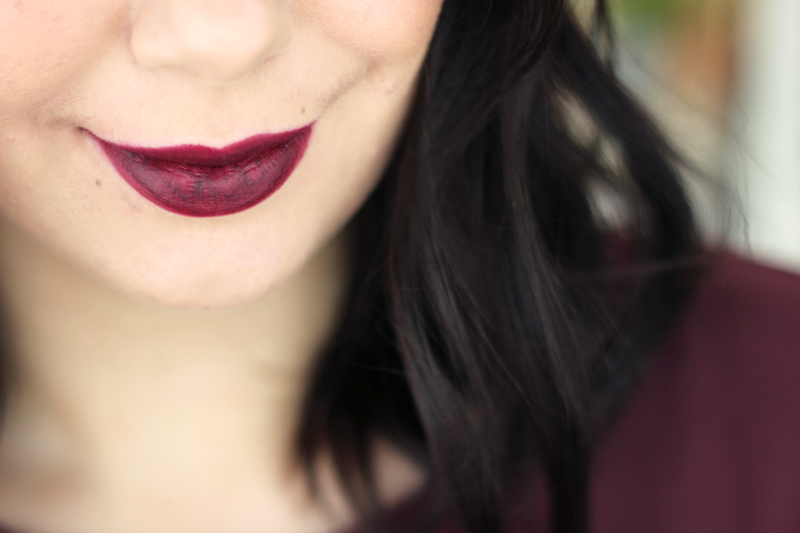 Dark lips are a big thing this autumn & winter and I couldn't be more happy about it. 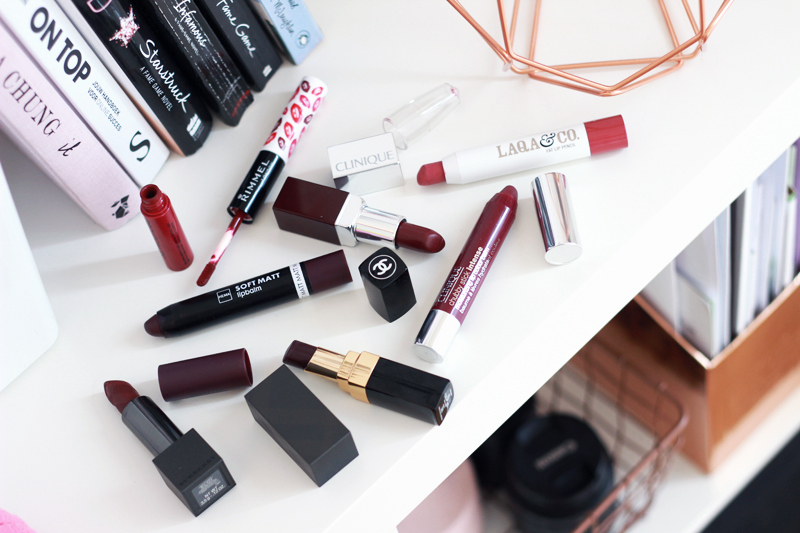 My very favourite dark lipsticks have always been burgundy/plum-ish, these shades make everyone look so chic and on myself work a million times better than true red shades. I'd definitely choose burgundy over red any time. 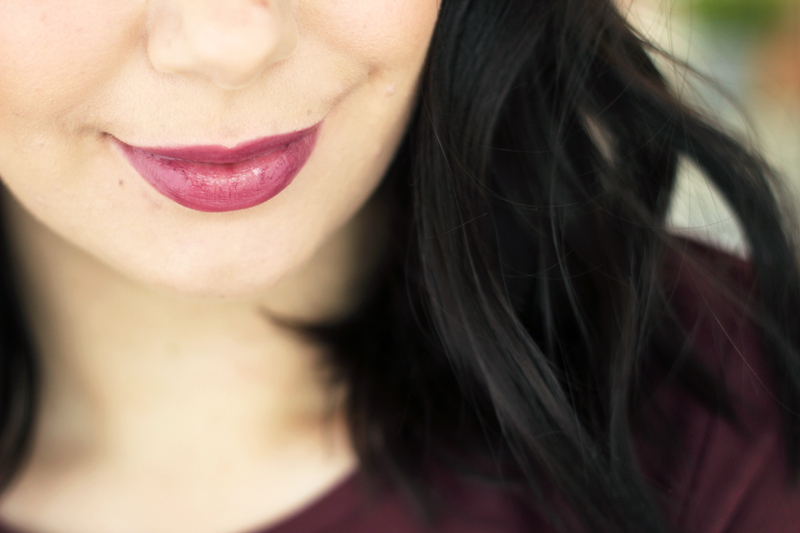 So even though I've been longing for sunnier days and am ready to embrace spring time, I am really feeling the dark plum lippie. 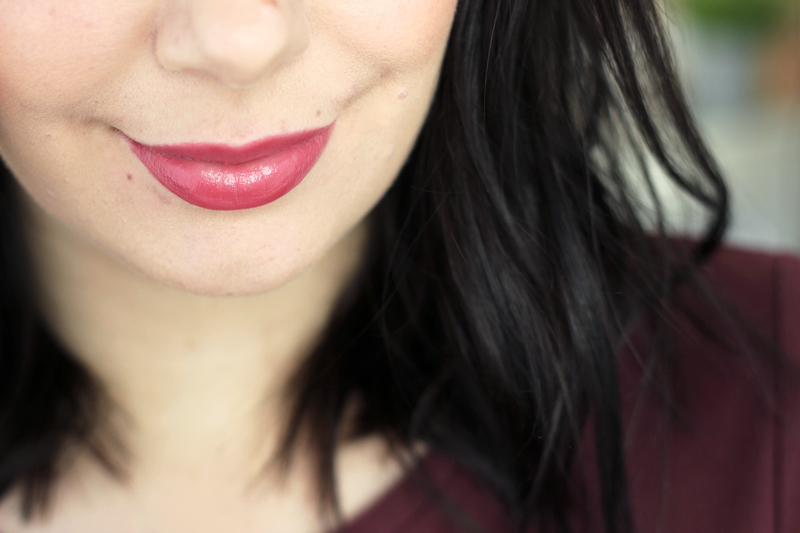 There's no need to be afraid of bold lips, let me demonstrate. 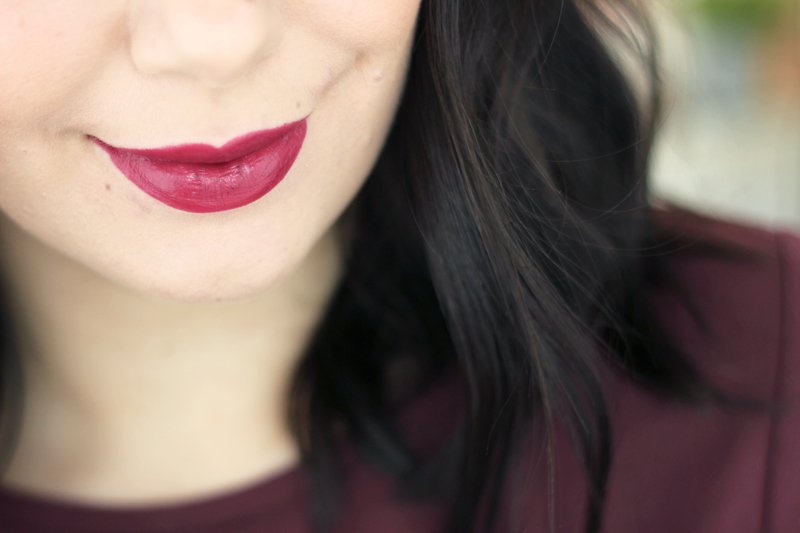 I've lined up a few different burgundy/plum-ish lipsticks with different colour payoff and finishes. During daytime I always opt for easygoing - I have no interest in a demanding lippie when I am at the office or out and about for work. My daytime makeup needs to be functional. For events or other special evenings (dinners, drinks,..) I am willing to pay a little more attention. I'll even scrub my lips for a smoother application! I love Burberry's lipsticks. Their Lip Velvets are pretty much an "entry-level" matte lipstick as they don't tend to cling onto dry parts on your lips as much as most matte lipsticks do. For reference: I don't think I scrubbed my lips (enough) prior to taking these pictures & do keep in mind that my lips are pretty much forever dry & always chapped. 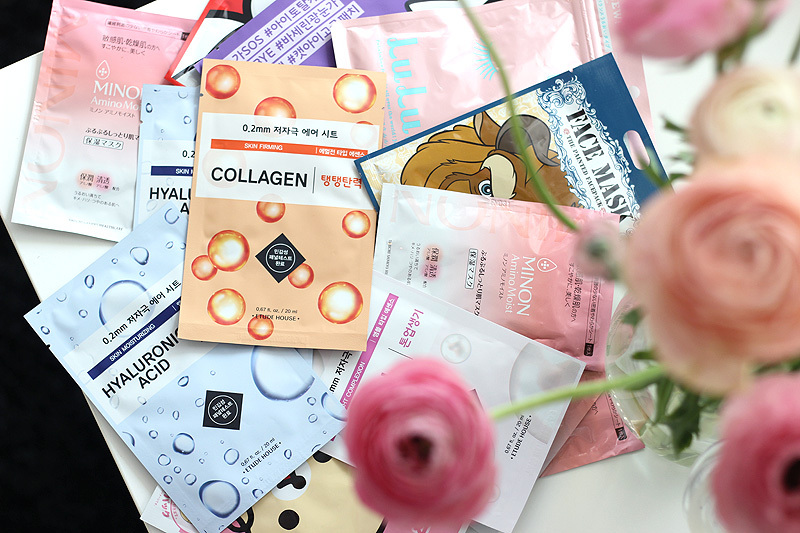 I seriously envy anyone with smooth fuss-free lips! The HEMA Soft Matt Lip Balm has a beautiful colour pay off and although the shade is just perfect, it does obviously take well scrubbed and hydrated lips to look nice. Sadly, a hard look to rock on mine.. Rimmel Provocalips on the other hand is creamy and disguises any dryness you might have going on. And it definitely lasts a very long time when 'locked in' with the top coat. Taking it off ain't easy & becomes a matter of scrubbing and a bit of patience.. These two slightly softer but still very pigmented lippies are both by Clinique. 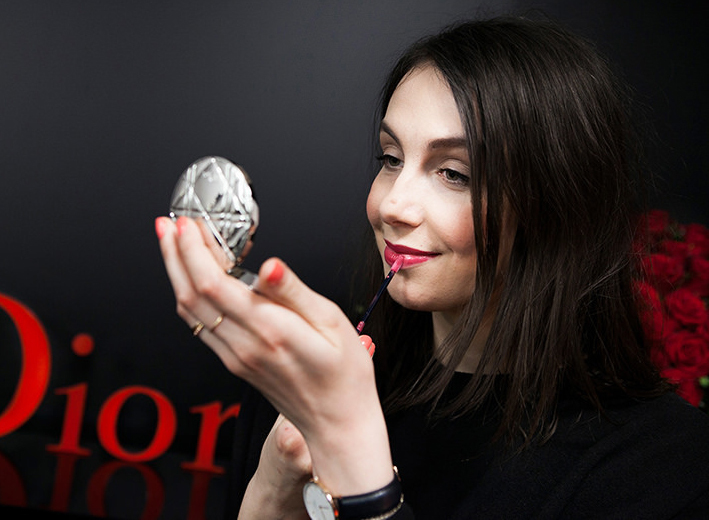 Their most recent Pop Lip Colour lipsticks are beautifully creamy, very pigmented and feel great on the lips. 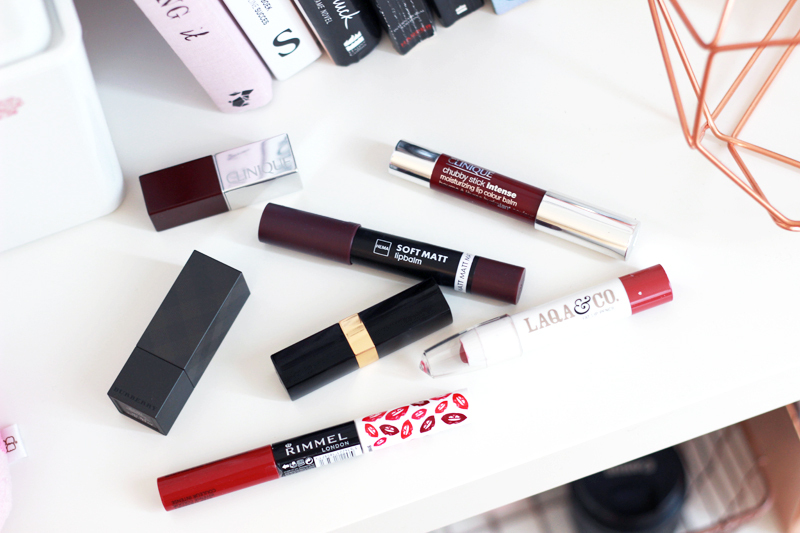 There's no fuss when applying these and the shade Rebel Pop is just stunning! The Intense Chubby lip balms are a great alternative for the not-so-pigmented original Chubby sticks but still have the same ease of application and high probability of ending up in your handbag as a daily staple. Grandest Grape is very pretty, although i would've liked it a little less pink. 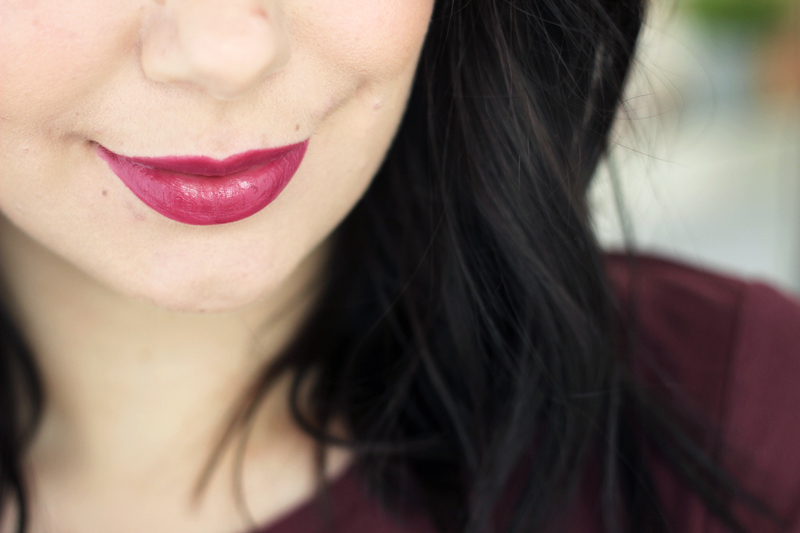 Plum lips can also be sheer and the perfect companion to use all day through. 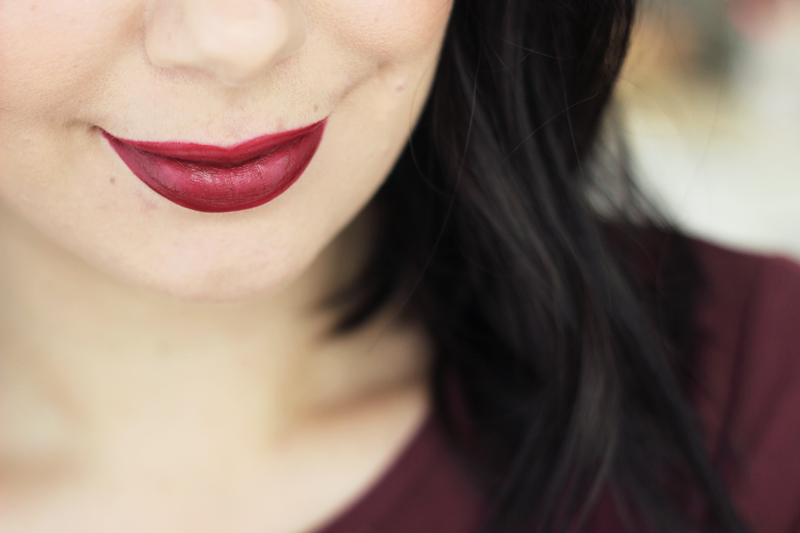 If you're looking for the most fuss free darker lippie: these are it. Laqa & Co is a cult brand with beautiful branding and packaging, but unfortunately this supposed darker plum colour 'Bossy Boots' turns a little too pink on my lips for my liking.. Chanel Rouge Coco in Aura is a much better shade and is absolutely stunning! It clings a little to dry patches, but nothing too bad. This one is just so so pretty.. 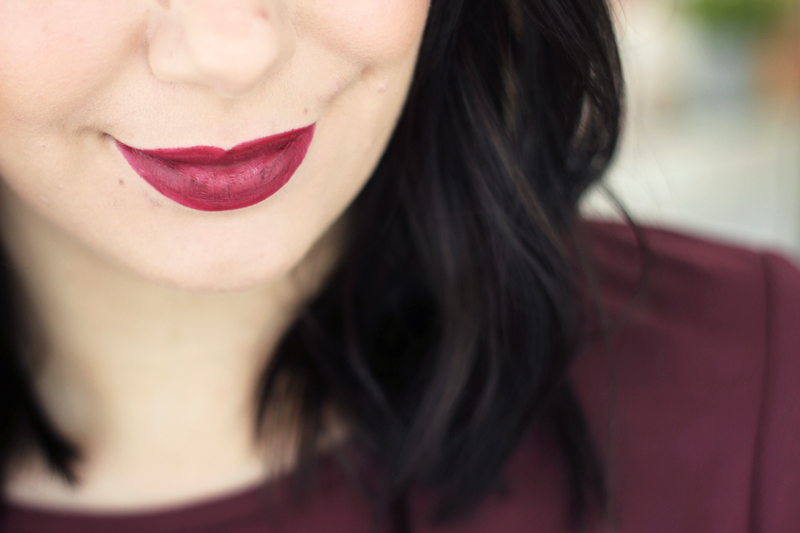 I hope this gave you some burgundy lip inspiration - it looks like winter time is going to stick around for a good while longer, so you might as well dig in & go all out with plum..